1. A huge thank you to the people who left such helpful comments on my last post. 2. To let you know that I'm so grateful to everyone who bought one of my patterns in the face of me letting you know my shop may close temporarily due to the EU VAT issue, but that I think there's a workable way around the problems now, so there's no longer a need to rush to buy. 3. To let any others selling PDF patterns know about some solutions to the EU VAT problem. 4. To share Etsy's disappointing stance on the EU VAT issue. 1. Thank you so much for all your incredibly helpful and supportive comments to my last post. I'm so grateful! I was so touched and appreciative. 2. I was overwhelmed (in the best way) by the number of messages of support that I've had, the many people who've bought my patterns this week and the emails from shops offering to stock them for me and deal with the VAT on my behalf (including two of my sponsors - thank you Backstitch and Plush Addict!). I'm so grateful. I'm pleased to say there's no need to rush to buy my patterns now as in the last 24 hours I've become fairly sure there are workable solutions on offer that will allow me to keep selling (as long as I can find the time to implement them when both me and my entire family have flu and it's Christmas time!). 3. I'm keen to share the solutions that I've found, as I know that many others sell, or are hoping to sell, PDF sewing patterns too. Both of these services deal with all the VAT for you, so you can go on selling just as you always have, without any additional admin or hassle. Paddle offers the ability to keep everything on your own website or blog, and offers the same kind of Buy it Now buttons that have been available through PayPal. They take 5% of your profits, charge £0.50 per transaction and pay you your earnings on the 15th of every month. Their service emails a link to your customers to enable them to download the PDF file after purchasing. Paddle offer in-depth reporting stats and my emails to them have been answered quickly and with a professional warmth - I feel really enthusiastic about potentially using them. Worrying about implementing the system onto my blog over Christmas, they (unexpectedly) reassured me that someone would be around to troubleshoot over the Christmas period, but that they may just be a little slower to respond than usual. Impressive. They will handle all the VAT on your behalf to allow you to go on trading as though nothing has changed. I've written to them to ask if the 5% and £0.50 per transaction charge covers any PayPal fees that might be incurred if the customer chooses to pay via this method and will let you know what they say. Thank you so much to one of my readers, AnEnthusiast, for letting me know about this service. She found out about it when she was discussing EU VAT problems with a neighbour and discovered that the neighbour worked at Paddle! What amazing serendipity. PayHip have historically provided distribution and checkout services for eBooks, but they're happy for anyone selling digital PDF products to use their service. PayHip allow you to set up product pages that you can link to directly from your blog, Twitter or wherever else, so that customers can complete the transaction on their site. Unlike Etsy, it's not a great big open marketplace where people can go and search for other shops while they're there. Payhip take 5% of your profits and pay you immediately following each sale. I guess you could create a Buy it Now button and place a link behind it, so that it would work in the same way as these on-site buttons have in the past. I've had a few exchanges with PayHip on Twitter and they seem helpful, enthusiastic and are completely set up to handle VAT on behalf of their customers. Financially, PayHip offer a better deal so this is who I may end up going with, but there are probably pros and cons to each service. Thanks so much to Kerry, who told me about PayHip late last night, shortly after they'd announced their ability to handle VAT. It feels amazing that two viable options have now presented themselves over the weekend. 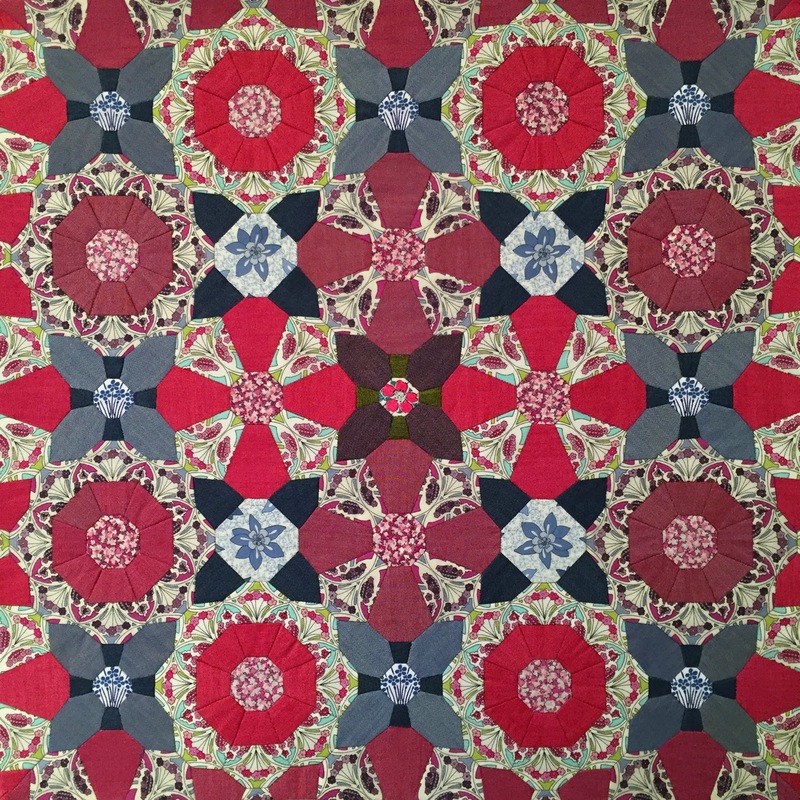 I'm looking forward to knowing that I can now write up a pattern for this English paper piecing project that I've recently finished in Oakshott and Liberty print fabrics! 4. Finally, I wanted to share Etsy's announcement on EU VAT, which they made on 22nd December, saying that they are not going to take on the responsibility of dealing with EU VAT and that it is up to their sellers to deal with these issues. I believe they may be creating a tool to allow sellers to collect the two pieces of customer location evidence needed in order to deal with the tangle of VAT paperwork vendors will have to work their way through now, but it doesn't sound as though this will be available for January 1st. It is, of course, completely understandable for Etsy not to want to take on this extra administrative burden but, after months of silence in the face of their sellers' increasingly panic-stricken requests to know what was happening, to announce that this is their stance nine days before the changes come into practice, with Christmas in between, feels quite staggering. I'm not affected by this as I make very few sales via Etsy (less than 80 in two years!) and so have already removed my patterns from sale, but many will be. In the longterm, this will affect all Etsy users when the new EU VAT law applies to physical products, as well as digital, the following year. I'm imagining the next year may bring new, more boutique, specialised marketplaces who are willing to support their vendors by dealing with the VAT issues and seize upon the gap in the market that Etsy are creating by not doing so. All that's left, is for me to wish you a really happy Christmas! I'm wishing especially for good health and plans that actually come to fruition to be under the tree, as my children have had flu for over two weeks now and my husband and I are unwell with it too. We've already missed seeing family and friends for Christmassy celebrations and it now looks like even our Christmas day plans may have to be cancelled too, as no one seems to be getting much better. Yesterday, we ran into the truly exhausting realisation that we still had to wrap all the presents and that we had NO cellotape left in the house and so would actually need to go out into the world and buy some (having already braved going out once to walk Nell). Both of these tasks felt equivalent to suddenly being asked to run a marathon and when my husband finally got home with the cellotape and collapsed into bed, I then spent six hours in a haze of wrapping (I don't believe that I have actually bought six hours worth of presents, just that flu-wrapping takes several times as long as good-health-wrapping). My daughter helped me with quite a lot of the gifts that weren't for her and we put on Christmas music while we wrapped, which made the whole thing feel even more surreal, as there are only actually three Christmas songs which we like…so we had them playing on repeat. To give you some background on this, EU legislation around VAT is changing from 1st January, but this doesn't just affect EU sellers, it affects all digital sellers worldwide. Currently, when you buy a digital product, the VAT is paid in seller's country - this means that big businesses can base themselves in tax havens and avoid paying VAT on their sales. To try and stop this kind of sneakiness, the EU have altered things so that VAT is now payable in the buyer's country too. While we have a very high VAT threshold in England (you'd have to earn around £81,000 before you started paying VAT here), in other countries it's set at all different rates, many of them at 0. This means that if I sell even one product to an EU country, I would require two pieces of evidence to ascertain the buyer's location (PayPal doesn't currently give me this kind of information about my buyers) and I would then need to submit a quarterly VAT return to every single country that I sold to. As a small business this is prohibitive in terms of both time and cost. HMRC and the EU seem to have had no awareness until very recently as to how these changes would cripple small businesses - this, of course, was never their intention, but it is now impossible to sell digital products directly through your own website or blog, as I do, without exposing yourself to this VAT nightmare…just selling one pattern for 1p or 1 cent to an EU country would legally require a VAT return to be submitted there. Initially, HMRC made over-simplified assurances that if you sold through a third party platform, such as Etsy, Folksy or Craftsy, it was the platform's responsibility to do all this paperwork, rather than yours. However, HMRC had misunderstood how platforms like these work - we are paid directly by the customer on these platforms and then pay Etsy a monthly bill, giving them a cut of our sales profits, so this no longer stands as it's a scenario where no one pays the VAT. Unfortunately, whether they're part of the EU or not, this change affects ALL digital sellers worldwide. This will mean that from January it may be really difficult to buy many of the digital products that you usually buy. The hope is that platforms like Craftsy, Etsy and Folksy, with their larger infrastructures and finance departments full of people who wouldn't be reduced to snivelling heaps attempting to put the structures in place to handle all these VAT payments, will step up and offer a solution - they have a vested interest in doing so as they stand to lose a huge amount of money if all their digital sellers withdraw their products from sale. If they aren't able to do this, it will mean the demise of literally thousands of small businesses. 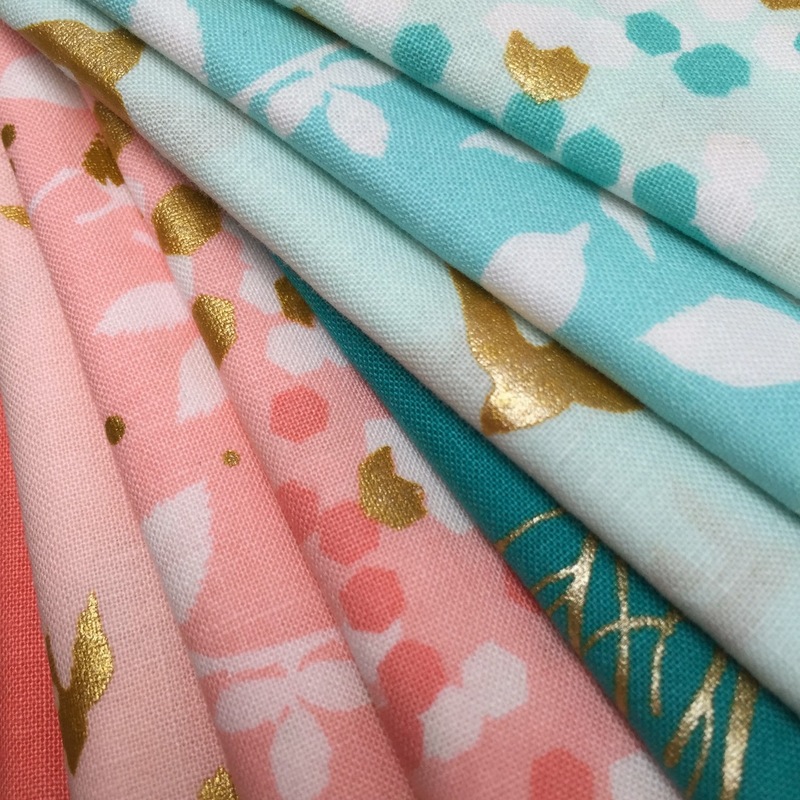 I'm really hopeful that they will make this happen, which is why I've held off mentioning this here on my blog, as I was hoping it would be a simple case of just transferring the location of my patterns. But it's now December 18th…and it's looking like this may not happen as we'd hoped, at least not in time for a smooth transition on January 1st. There has been some talk that the changes affect online advertising too. While this might be the case, all of my sponsors are based within the UK only, so for this reason, I'm happy that this side of my business will survive, at least. I'm really lucky that my main source of income - the business I run with my husband, making our educational Squeebles apps for children - isn't going to be affected by these change, as the VAT is paid at the point of sale. 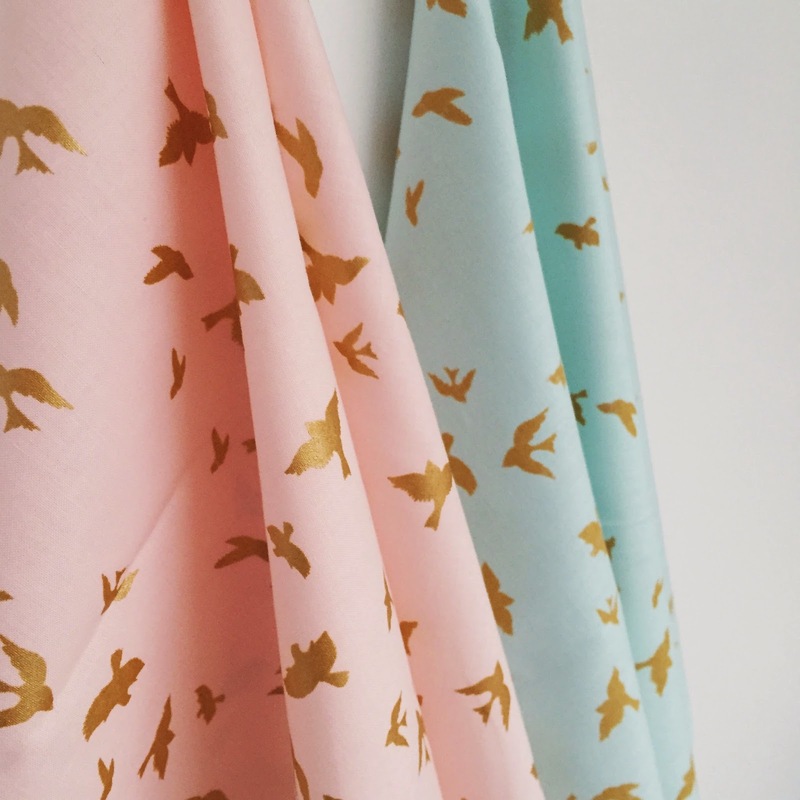 For that I'm hugely grateful, but I'm feeling sad that my own little pattern business is coming to an end for now. Even if I'm able to sell again through an online marketplace like Etsy at some point in the future, it feels a great shame that this change in VAT legislation means it will be very difficult to sell independently through our own websites or blogs - that feels like a step backwards. One of the incredible things about the internet has been the ability for cottage industries to spring up and for it to become viable for so many people to run their own businesses from home, working independently in their own niche areas. This doesn't just affect craftspeople - it affects everyone from people selling eBooks on how to do your own accountancy, to people producing paid-for webinars teaching people how to use Photoshop or Illustrator. 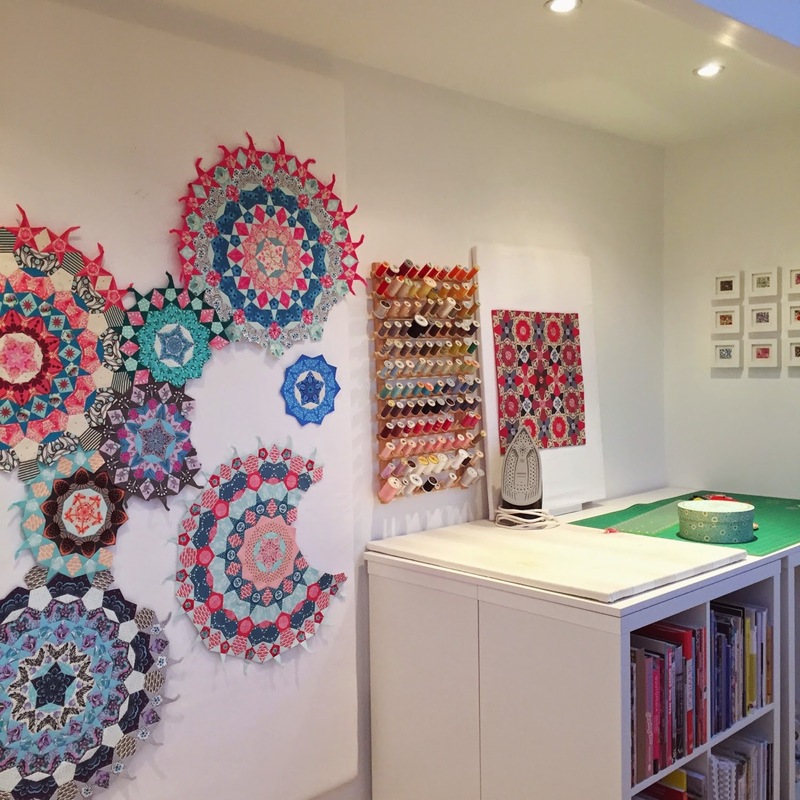 What I want to say more than anything at this point, is how incredibly grateful I am to everyone who has bought patterns from me over the last five years - I have really appreciated your support and it's a real delight to see what you've made with them. It was my blog readers who encouraged me to write my very first pattern and without your faith in me, I don't think it's something I ever would have ventured into. 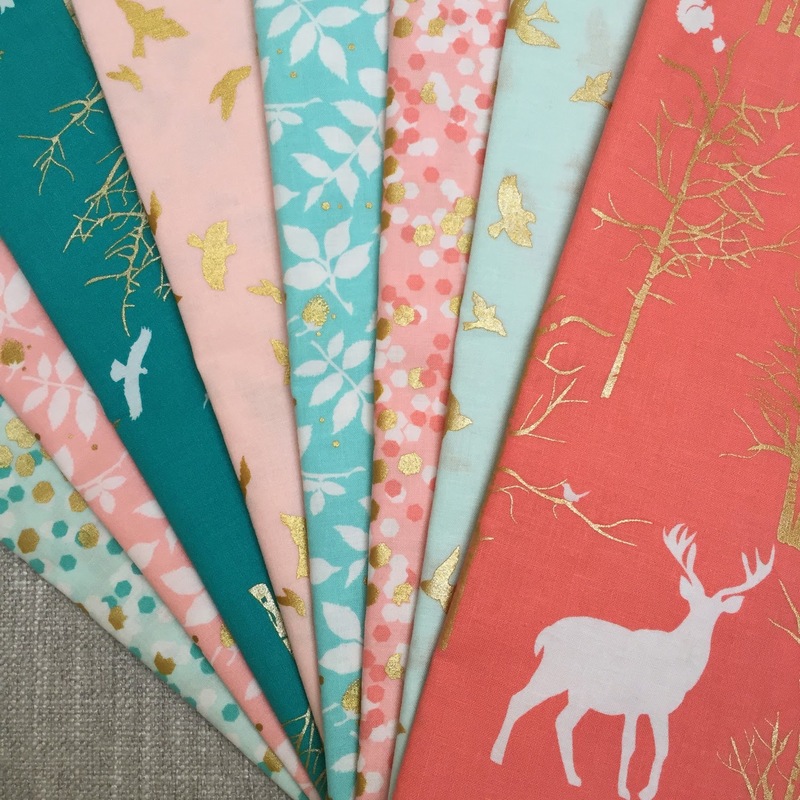 I can still remember the first time a confirmation email from PayPal landed in my inbox saying that I'd made a sale…it was the most incredible feeling and since that point, as I've added more patterns to my site, those emails have continued to land in my inbox daily. I am so grateful. Thank you. If the situation doesn't look like it will be resolvable, my intention is to make my existing patterns available free of charge, as I'd much rather they were out there for people to enjoy than sitting unsewn on my laptop, but I hope you'll understand my need to hold off on that for a little longer to see how this unfolds, as financially it's not an easy prospect to suddenly lose this source of income. Patterns aside, I have been doing a great deal of Christmas sewing and I'm looking forward to sharing some of it with you in my next post. This is a very brief post just to thank you so much for all your comments on my giveaway post sharing your foodie memories and associations - I loved reading them all, and what was sadly striking was how so many of our foods are associated with memories of parents or grandparents who are no longer here…and how impossible it is to recreate something in exactly the way they made it. I remember my dad making us French Toast when we were little and it was delicious. I think it was the only thing he could make then. Sadly he died almost 10 years ago and I recently was thinking abou him and tried to recreate it but it just did not taste how I remembered it. Salamanda, do send me your address either here or via DM on Instagram and I'll get the fabrics posted off to you. 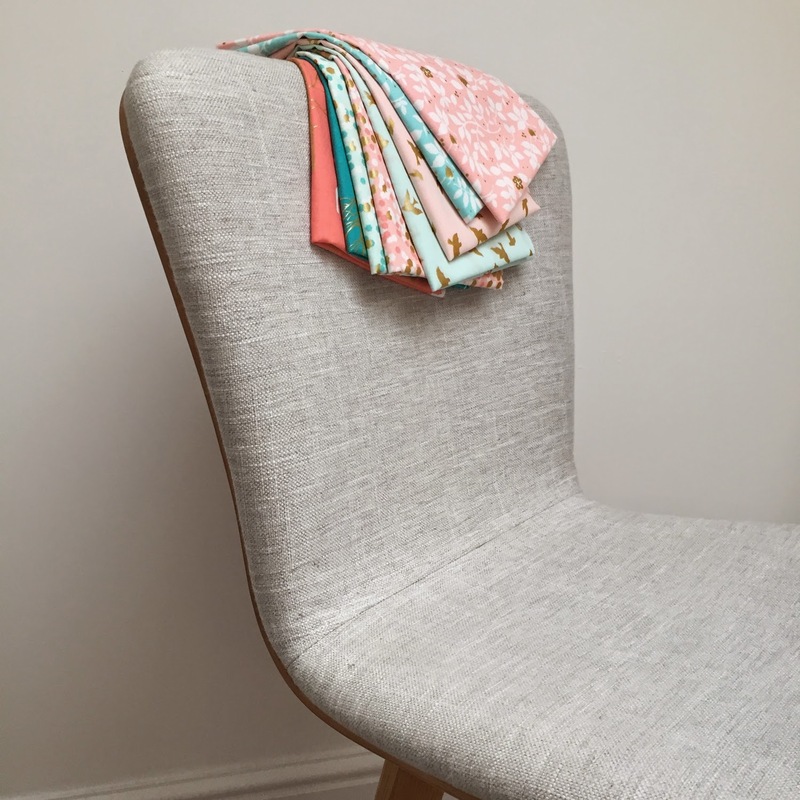 Thanks so much to Elephant in my Handbag for providing the gorgeous fabric bundle - remember, you can get 10% off anything that you buy in the EimH shop using the code 'FLOSSIE' at the checkout. I rarely run giveaways on my blog, but with one in October and one in December, it may seem as though all the buses have arrived here at once. I know you probably would have actually withered away to a sad little heap if you were actually stood waiting at a bus stop for two months…but it's relative. Anyway, the Number 8 bus has arrived. (Say what?! There's 8 fat quarters in the stack I'm about to give away and it's quite a nice bulbous-looking number, so if a bus has to stop at my blog, then I'd have a preference for it being the Number 8). This is a glorious little stack of Violet Craft's Brambleberry Ridge, that Elephant in my Handbag, one of my blog sponsors, are offering up to you. Stephanie and Jo were kind enough to let me take my pick of what I wanted to share with you and I was really keen to see this fabric collection in strokeable proximity (but don't let that put you off!) and thought you might love it too. Brambleberry Ridge is actually several hundred times nicer than I even imagined it to be and I'm feeling slightly pained by having to give it away. It's partly a tactile thing. 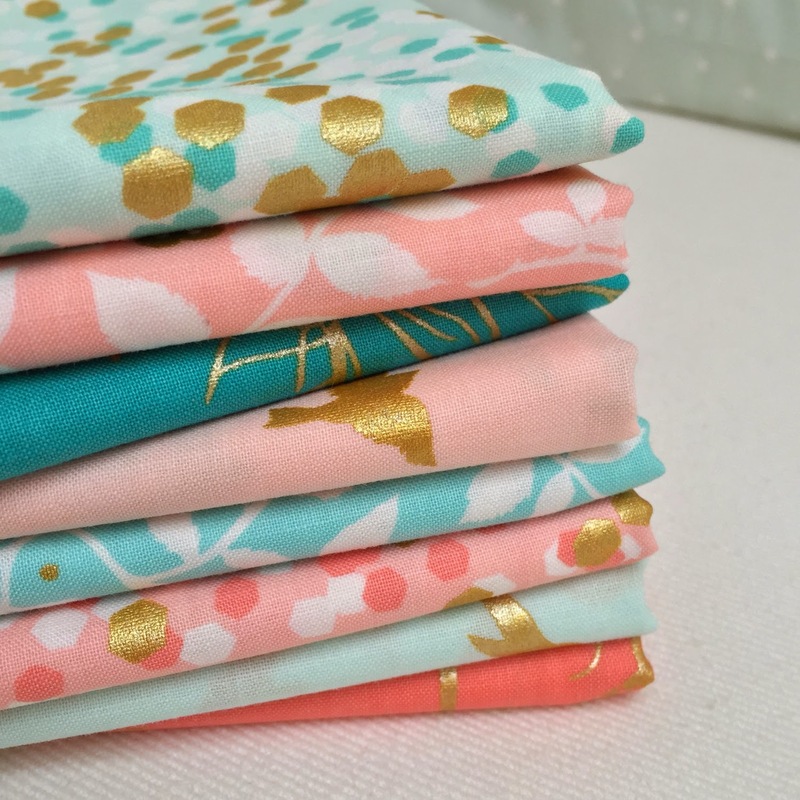 I'd anticipated a fabric with so much gold printing to feel a little crispier than regular quilting cotton (the golds I've come into contact with in the past often have), but it's actually entirely the opposite. To me, this cotton feels slightly more silky and fine than standard quilting cotton (I can't determine whether it is actually a different base cloth or not and I'm not familiar enough with Micheal Miller fabrics generally to be able to compare it against their other lines - this may just be how their fabrics feel, or it could be the effect of the gold - either way, it's lovely and my husband agrees that I'm not imagining it and that it's curiously softer than my other quilting cottons in his period of brief enforced fabric stroking). It's just really quite divine. And then there's the colours…these two above are my favourite. I just think they're perfection. They remind me of peppermint creams (which are also perfection). I remember my mother giving me my first peppermint cream when I was about four years old on the long journey north to see relatives. She passed it through the gap in the front seats to where I was sitting in the dark with my sister in the back of our little Alfa Sud and when I put it in my mouth and it melted on my tongue, my little four-year-old tastebuds and mind may have actually imploded. Even now, handmade peppermint creams are one of my favourite foods on earth, although I don't think I've ever tasted any as good as the ones that I ate on that late night journey. My mother had bought them at a school fate or cake sale earlier that day and I've never been able to recreate a peppermint cream that tastes quite as perfect, but if you'd like my almost perfect recipe for the ones above, you can find it in my archives here. They are delicious (she said, immodestly). Anyway, these gorgeous fabrics are currently sitting on the back of my chair (in a non-leant-upon way - I'm slightly clueless as to why I chose a chair with a back, as I never actually sit back when I'm typing or sewing, but I really adore this chair, so it possibly earned its place for aesthetic reasons) until I post them off to one of you. Here's what you have to do to enter: just tell me one of your own memories - adult or childhood - of an amazing meal or food that you still long to recreate exactly or can still almost taste when you think of it. Or indeed, if there's a certain fabric collection that reminds you of a certain food I'd love to hear about that too. Ps. The latter suggestion makes me think that's some odd variation of colour synesthesia (where names and words are linked in the person's mind by colour - I have this and I'm guessing a lot of visual thinkers do too). Fabric Eatesthesia? Pps. You can currently get 10% off at Elephant in my Handbag using the code 'FLOSSIE'.